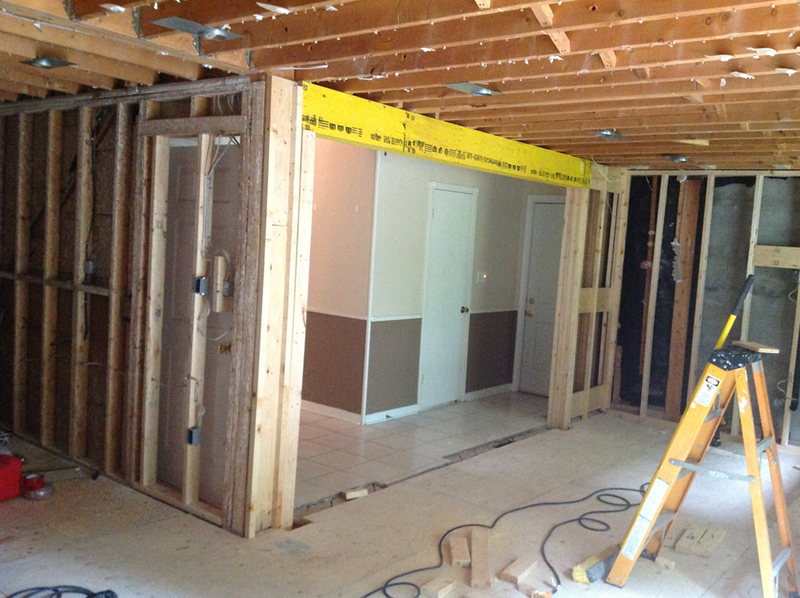 Load Bearing Wall Removal - K. H. Davis Engineering Consultants Ltd.
You may want to remove a bearing wall…or at least, you think that it’s a bearing wall. 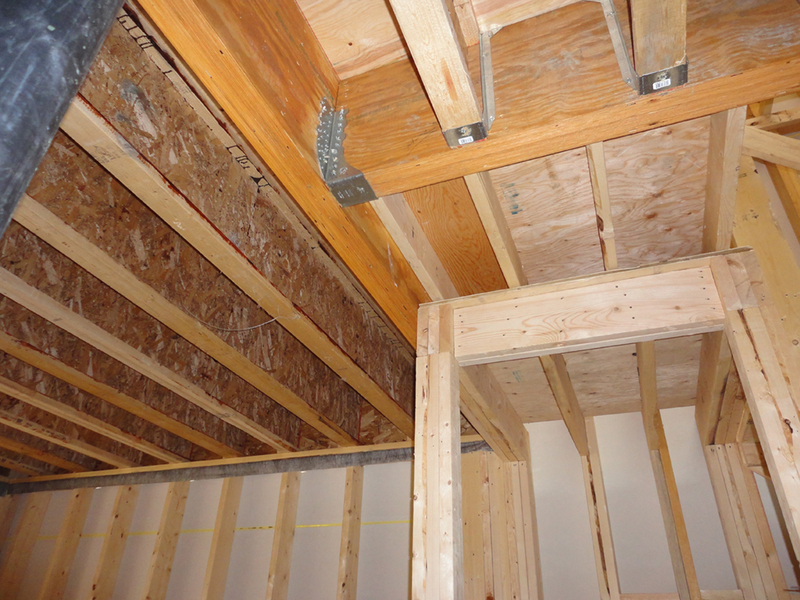 Don’t assume that just because the wall studs seem a bit loose, or because the joists above the wall are continuous across the top of the wall, that the wall is not “load-bearing”. 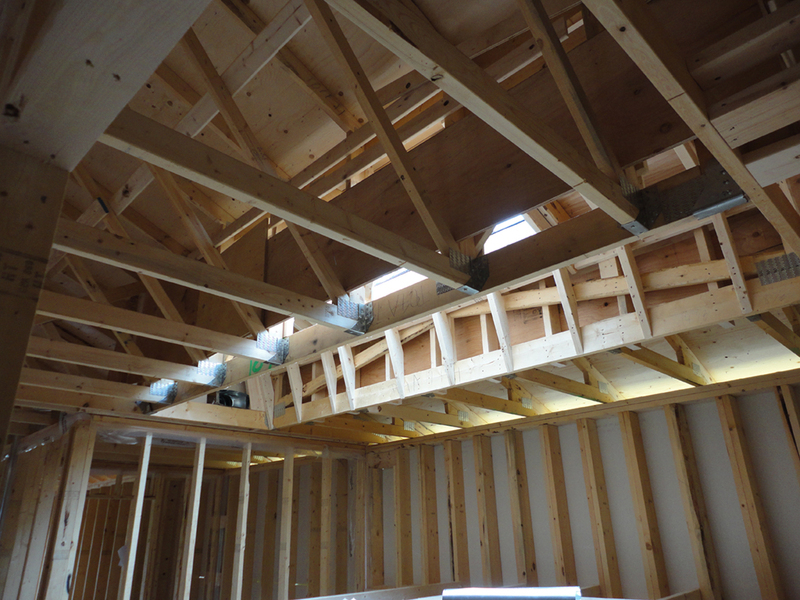 We often find that older homes were constructed with continuous joists across the width of the house, yet the floor joist relies upon the extra support that it gets from the wall and supporting floor joists below. Remember, even if the floor above does not fall down after you remove a wall, you may be creating an over-spanned floor condition which is potentially unsafe! We can usually determine whether or not a wall is load-bearing by carrying out an on-site review. 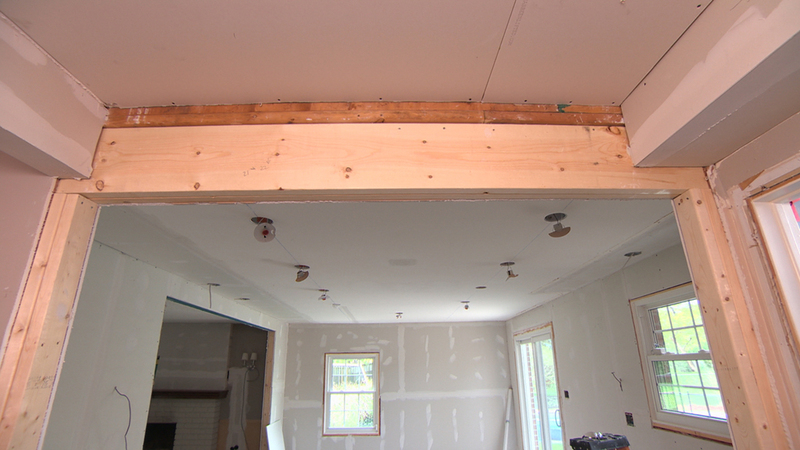 Sometimes, we may need to cut a small hole may need to be cut into the ceiling so that the size and direction of floor framing can be identified. 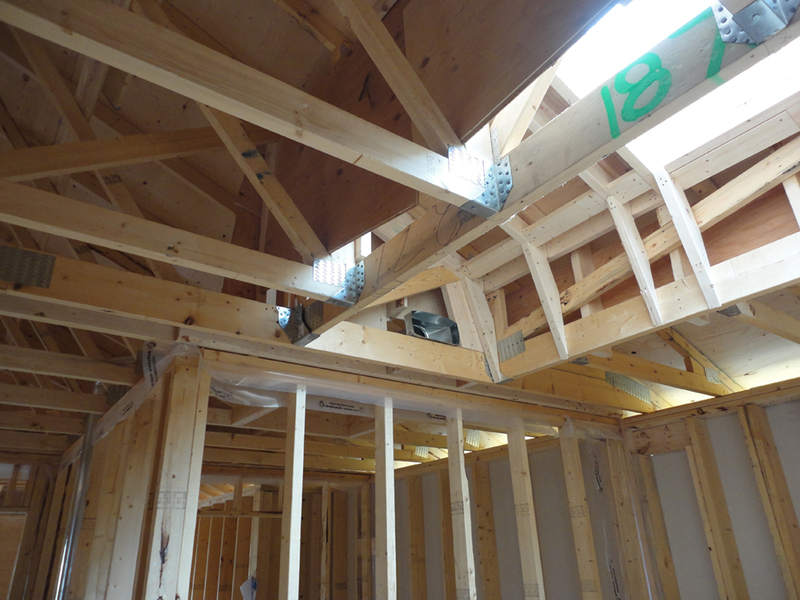 In some circumstances, we can make conservative (safe) assumptions without having your Contractor cut any holes, however these assumptions need to be verified by the Contractor during construction. 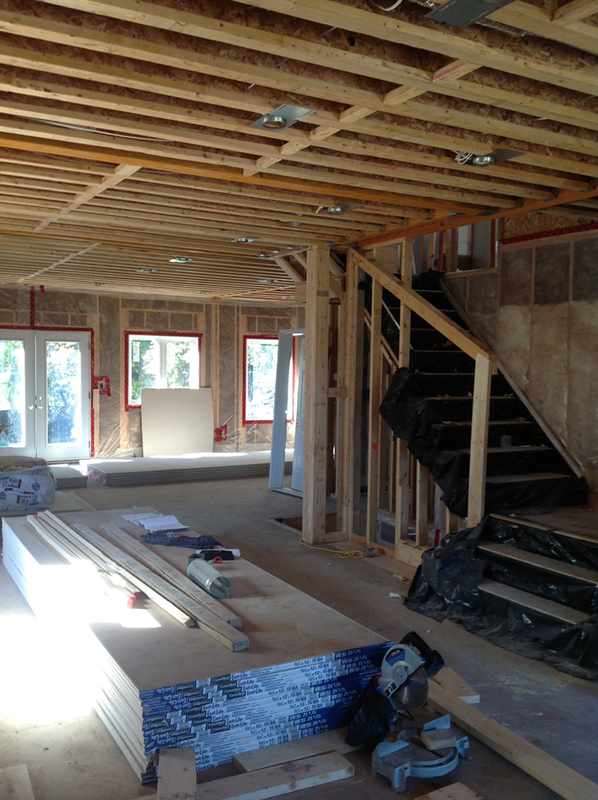 Most jobs like this involve one site visit, and about 3 days of our work in the office to draw-up a partial plan and specify the necessary beams and posts. Design costs for these types of projects vary depending upon the number of beams required and the complexity involved in transferring loads from the end of new beams down to the foundations below. 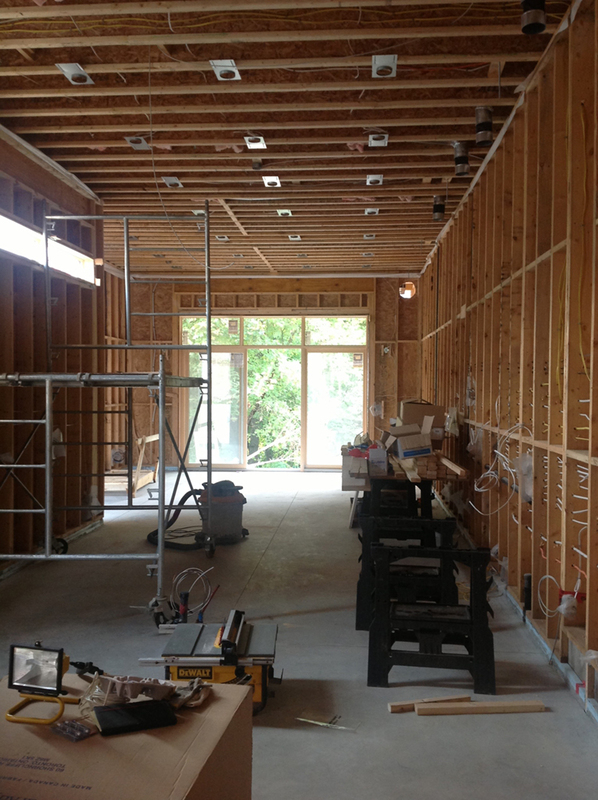 For interior changes to a modest sized home, full permit plans often cost around $2800 – $3600. 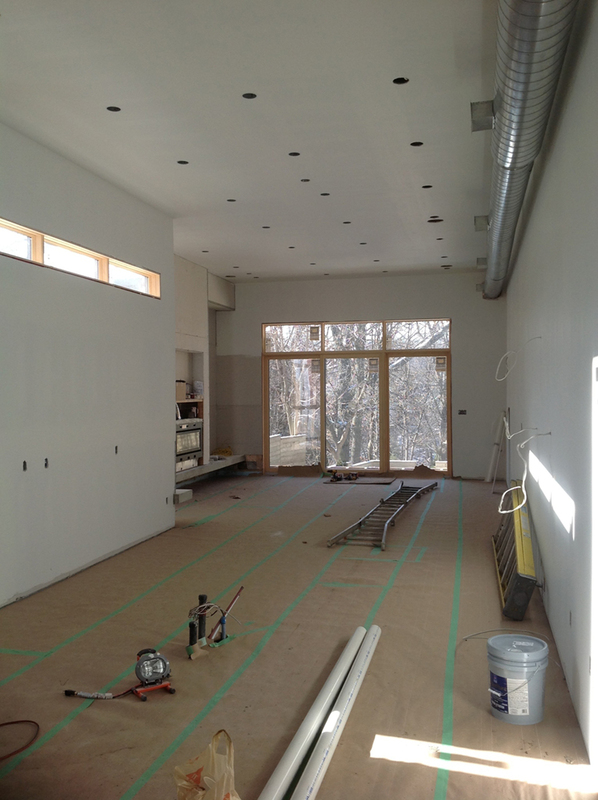 Building permit fees for simple interior renovations like this are quite inexpensive, approximately $100. 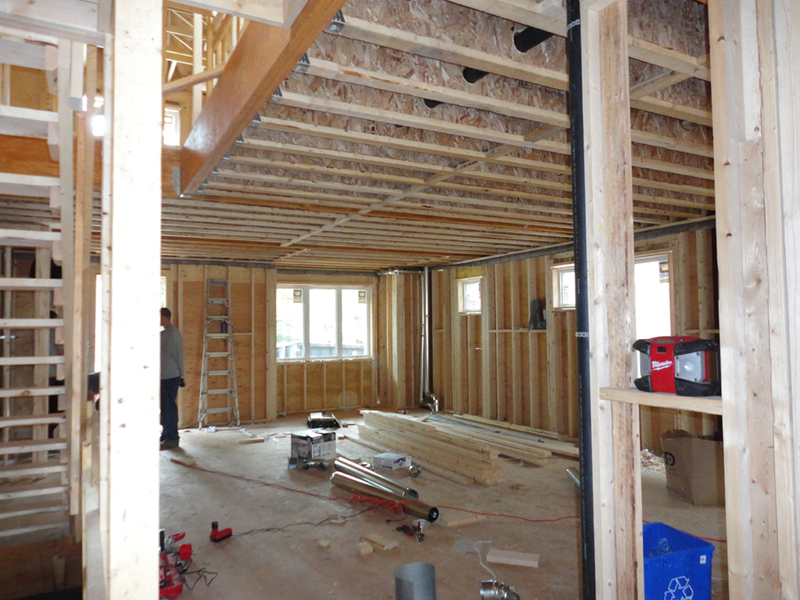 Yes, any structural change to a house requires a building permit. Can I get permits with the site report? No, a site report is not a substitute for a permit, nor can a site report be submitted as a substitute for design drawings. OK, then we need to carry out a site visit to review the existing conditions and if the wall is load-bearing, then we need to prepare design drawings which can be submitted to the Municipality for a Building Permit Application. Can the contractor do the work with just this site report from the engineer? 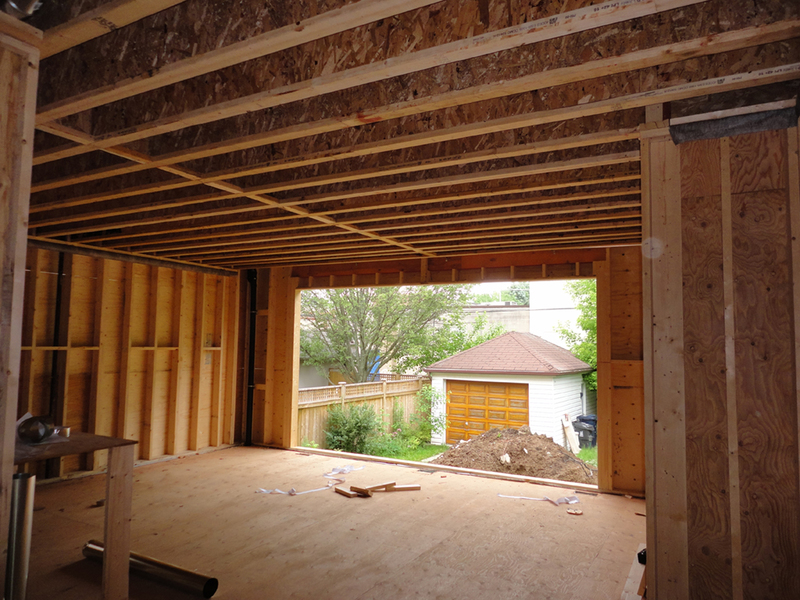 It is not recommended; even though our site report may identify the size and type of beam that you may need for support once the wall is removed, you still need to get Building Permits. This is required by Law under the Building Code Act, and you can be fined for doing work without a permit. 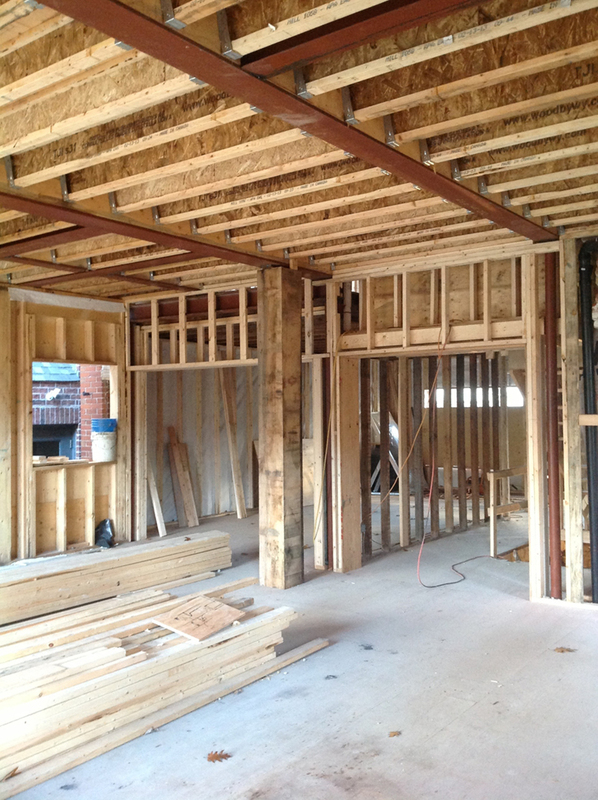 A site report can’t be used as a substitute for a building permit and design drawings. It’s also important to remember that, when you sell your home, the purchaser may want you to verify that you did your renovation work with a Building Permit. 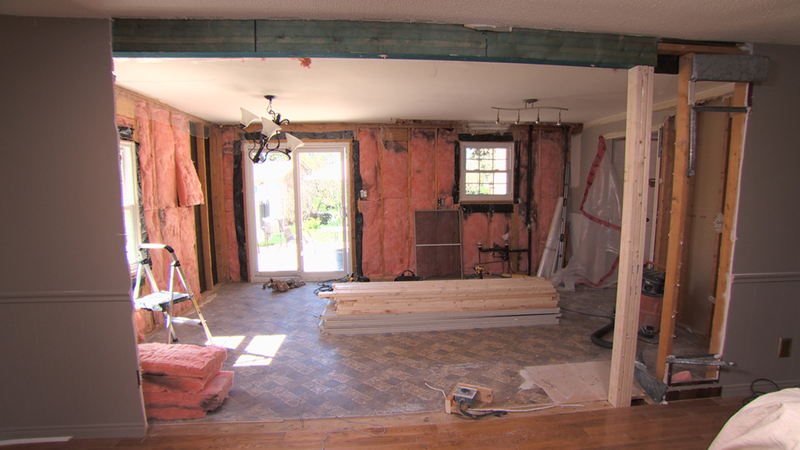 Download our comprehensive information package on what to consider when considering removing a bearing wall. To view gallery, simply click on a picture.